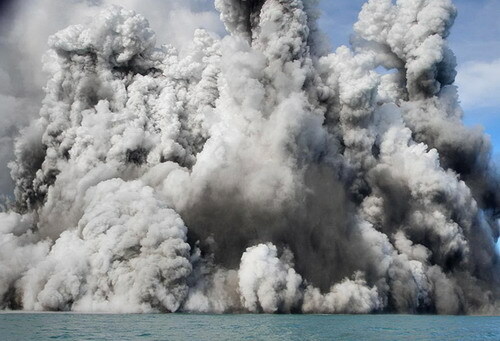 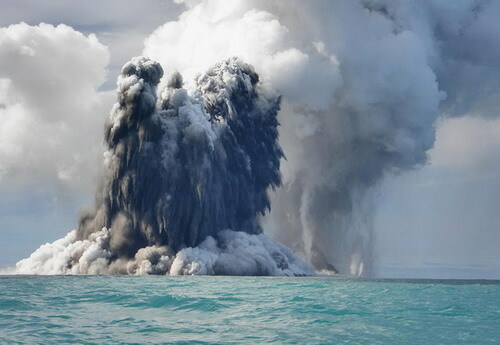 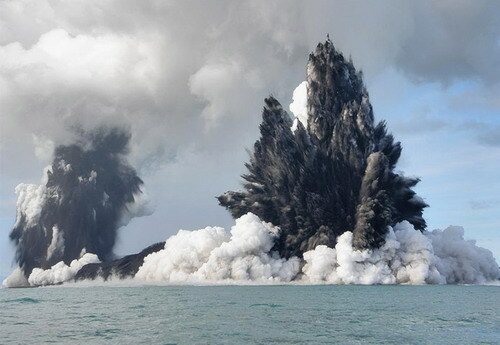 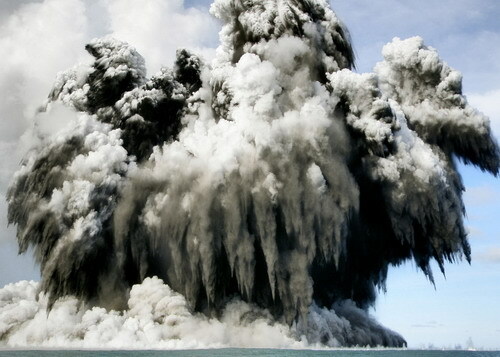 There are some amazing photos of Undersea Volcanic Eruption happened off the coast of Tonga in the South Pacific Ocean. 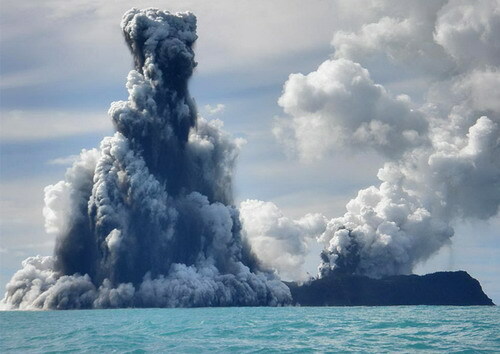 The eruption so far has sent plumes of steam, ash and smoke up to 100 meters into the air. 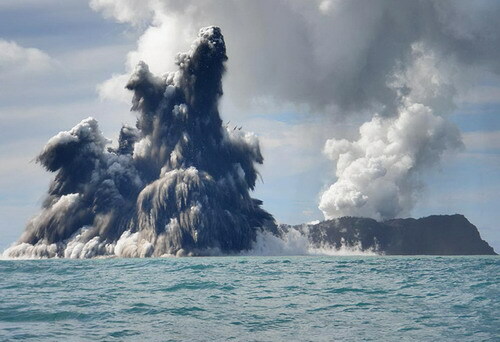 The photos presented here were taken by Dana Stephenson/Getty Images.